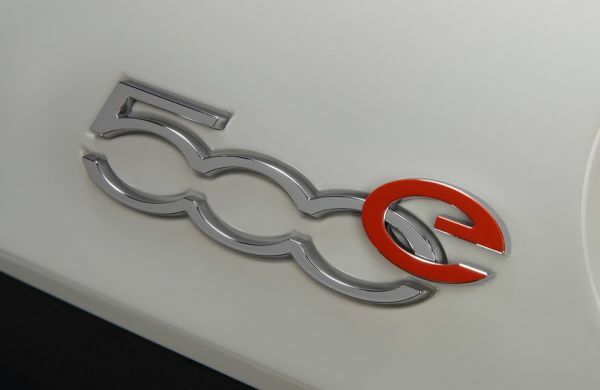 The unique badge for Fiat Chrysler’s first electric car, the Fiat 500e. 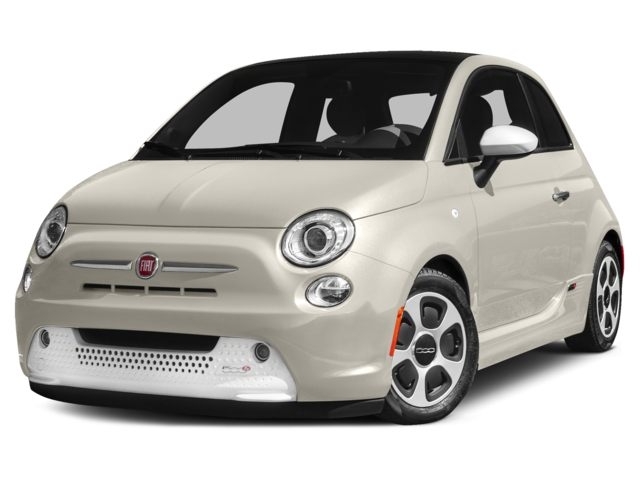 The Fiat 500e is the very definition of a “compliance car.” It was engineered and built solely to placate California’s Zero Emission Vehicle requirements. 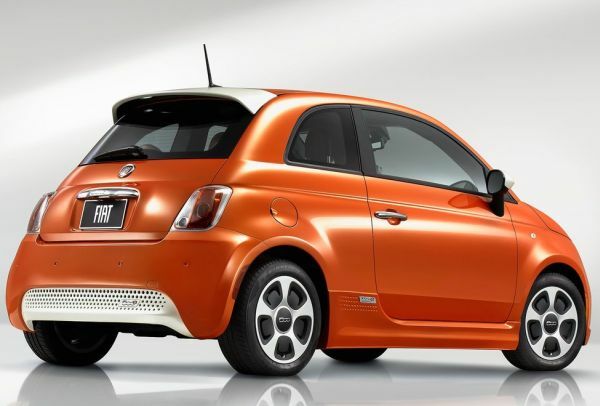 While Fiat may lose money on every car, the diminutive 500e buys corporate giant Fiat Chrysler Automobiles the necessary regulatory “green light” from the California Air Resources Board to continue selling cars and (very profitable) Jeeps and Ram Trucks in the Golden State. Until this summer it was only available in California; but now the 500e is available in Oregon. Other states that adopt California’s emissions rules may follow. 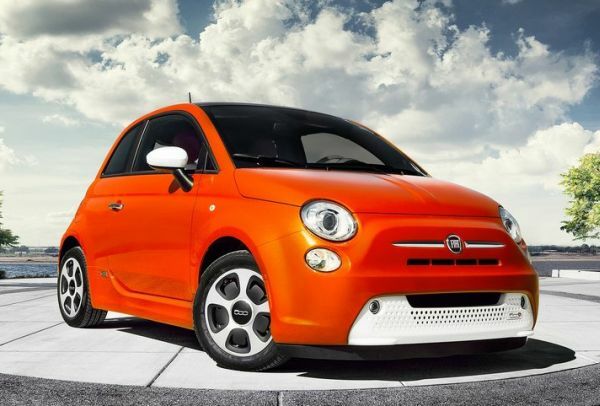 The Fiat 500e is a happy-go-lucky doe-eyed adorable miniature pug dog of a car. It romps through traffic, turns circles around lethargic Accords and parks it in just about any space. It’s a happy spirit, even if it has a short extension cord. Look at that cute face!! Car & Driver clocks its zero to 60 time at a respectable 8.7 seconds. That’s pretty good for this little car weighing nearly 3,000 pounds — 600 of which is the battery pack under the floor. And while the weight of batteries is always a range-sapping penalty for an electric car, its placement can actually make a car this small feel more grounded and less prone to being blown off the road by a sudden gust of wind. 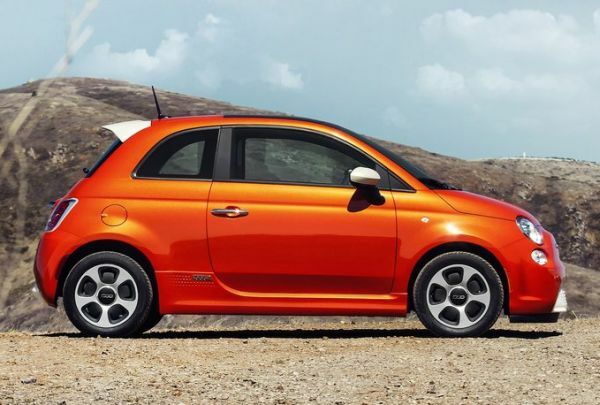 The lower center of gravity and instant torque only found with electric drive make this Fiat 500 variant the best handling of the bunch, including the feisty 500 Abarth. I really loved the way it drove. It’s the driving equivalent of an ultra-fast point-and-shoot digital camera. Twist On. Point in any direction. Press the go-pedal and you’re there! Get outstanding results without being a pro! Visibility is very good as you sit upright with a generous amount of windshield and side glass for such a small car. However, I struggled to find a comfortable driving position. The seats had limited adjustments and a short (by my standards) cushion. It didn’t help that the steering wheel only adjusted for rake, not reach. 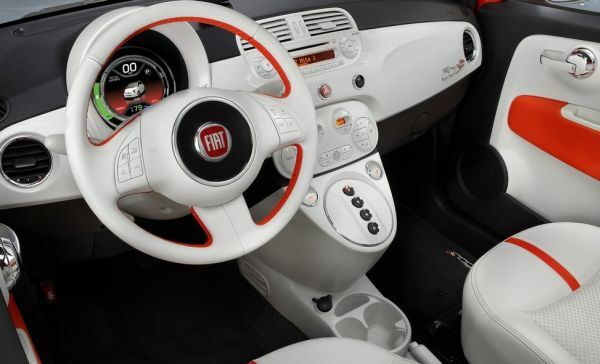 The interior of the 500e in Steam White with Electric Orange Accents. This looks great, but I’m not sure how you’d keep it clean. At 142.4 inches, the 500e is the smallest EV on the market with a back seat. If you chop the back seat off, you get a Smart fortwo Electric Drive which is only 106.1 inches long. Still, I can almost touch the back window of the Fiat from the front seat. The back seat of the Fiat is either (a) a torture chamber for adults, (b) a place for small children and dogs or (c) a parcel shelf. At least the seats split 50/50 and fold almost flat for a bit of cargo space. As a city car for one or two adults, it’s perfect. It’s just not the car you take to Costco or on long road trips. 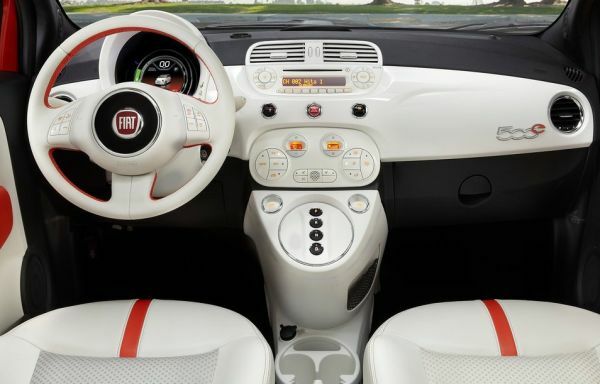 The instrument panel and center console have been modified for the electric version of the ICE Fiat 500. It’s a cleaner, intuitive layout. The official mileage rating for the 2015 Fiat 500e is 122 MPGe (miles per gallon equivalent) in the city and 108 MPGe on the highway – 116 MPGe combined. However, those numbers are meaningless as all anyone cares about is its actual range. Most articles I’ve seen put the 500e’s range at between 80 – 100 miles on a single charge. But Car & Driver came up with a real-world observed range of only 69 miles. Still, how often do you drive more than 69 miles a day? That’s more than enough for the average daily commute, with some side stops. Standard Level 1 (120 volt) and Level 2 (240 volt) on board chargers that can fully charge the battery in 4 hours. 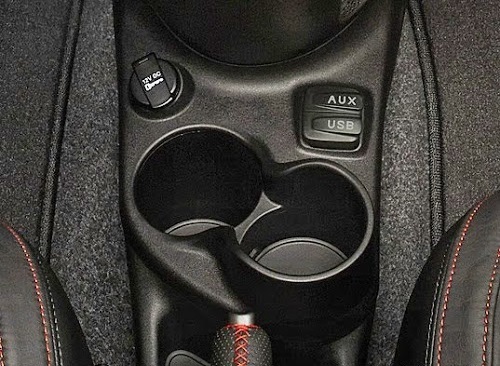 See those two plastic covers for AUX and USB? They break off every time you lift one. Very disappointing quality. Included with the purchase of the Fiat 500e, the program provides owners and lessees of a new Fiat 500e with up to 12 days of alternative transportation in a standard-sized vehicle each year for the first three years after purchase through Enterprise Rent-A-Car, National Car Rental or Alamo Rent A Car in the U.S.
That’s a pretty good offer to sweeten the already great lease deal for the 500e. However, from what I can tell, the people with a 500e already have another car they can drive for longer trips – either a second car or one belonging to a family member. The side profile of the 500e highlights the standard rear spoiler. It gives it a cheeky appearance that fits its spunky, fun demeanor. To sum things up, I think the Fiat 500e is a fun, very affordable electric car and I wouldn’t hesitate to recommend it to most drivers. But it’s not the car for me. Aside from some glaring feature omissions and the cheap plastic panels, I just couldn’t find a comfortable driving position. And that’s a deal killer.